What Stage of the process are you wondering about? 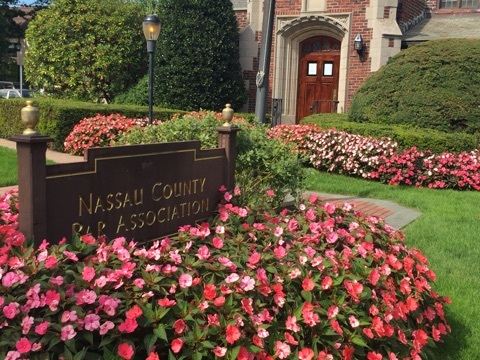 Mandatory Settlement Conference held at Supreme Court of Nassau County. 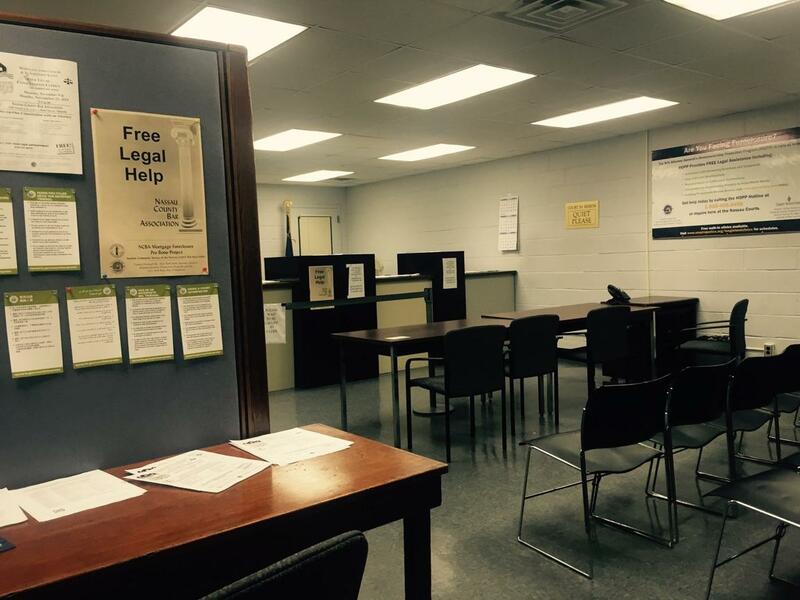 Nassau County Bar Association hosts monthly mortgage foreclosure clinics. 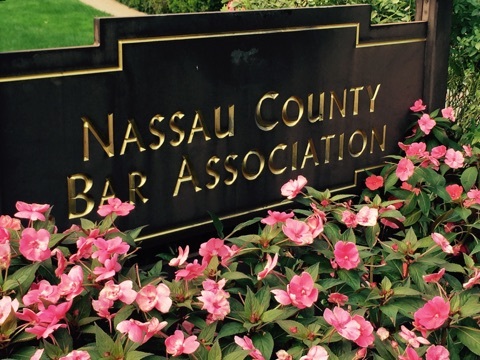 Welcome to the Nassau County Bar Association’s Mortgage Foreclosure Project website. If you have any questions regarding Mortgage Foreclosure, whether a homeowner or a tenant, or if you have been served with court papers or want to understand the options available to you, please attend one of our clinics given twice a month. In addition, if you have to appear in Supreme Court for a Mandatory Conference we can help you. Please click on the “homeowner” tab if you are facing foreclosure or want general information. Please click here for upcoming free consultation Clinics. 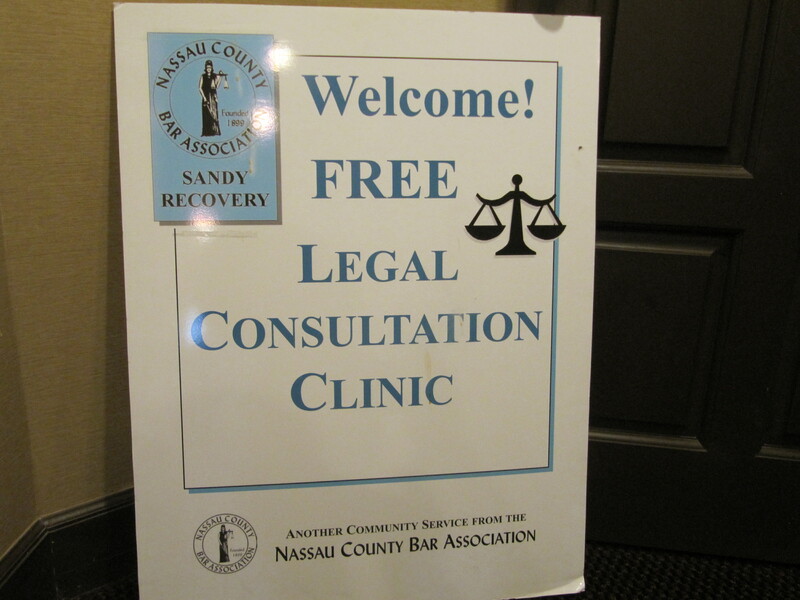 If you cannot attend a Clinic or if time is of the essence and you would like an attorney to contact you, please send an email to mortgageforeclosure@nassaubar.org with some information about your situation. You will receive a call from NCBA Staff within 48 hours. For attorney training opportunities and updates about the ever changing landscape of New York Foreclosures, please click on the “attorney” tab. Please click here volunteer for upcoming free Mortgage Foreclosure Consultation Clinics. In addition, we are present at all Mandatory Conferences in Supreme Court, Monday through Thusday where volunteers offer their time. It has recently been reported that nearly 3,000 New Yorkers have reported foreclosure rescue scams since 2010. For each reported scam, there are several others that go unreported. The Attorney General of the State of New York has taken a special interest in this ongoing issue and has a website with more information about scams which contains a web based complaint form.